In a previous post, we already gave you the basics on what beacons are. If you a beginner with beacons, we recommend that you read our blog post Everything you need to know about beacons. We explained how they can be used, as well as what's the difference between different protocols and brands. This blog post, however, will guide you how to use beacons with us. Enjoy! There are two advantages to use beacons with Matchmore. First, the publication's properties allow you to attach meaningful information with your beacons. Second, you are able to work with pin points on a macro-level scale (meters to kilometers) and beacons on a micro-level scale (centimeters to meters); combine both scales and outdoor-indoor service at once in a unique integrated cloud Backend-as-a-Service. First you need to register the beacons in your account on Matchmore. Go to your account dashboard by connecting on Matchmore's portal. When you are logged in, click on "Beacons" in the user menu. Register all the beacons you plan to use. Then, you can start assign your beacons in your app. 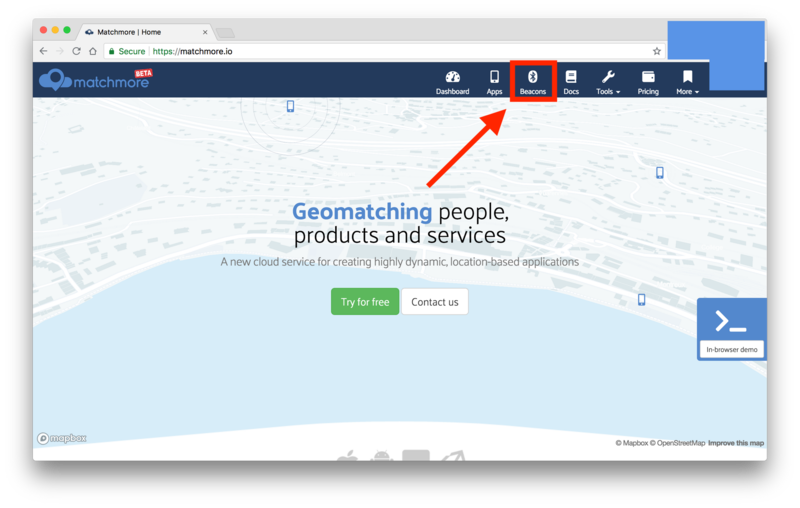 Your beacons are ready to be used with Matchmore, you can now use the generated device ID to publish or subscribe on your beacons. That's how easy it is ! Let's assume that you are developing an application for a museum. You want to create mobile notifications based on a visitor’s proximity to an object. And you have the beacon with Major 53494 and Minor 28090 placed near your famous piece of art painted by Van Gogh in June 1889. There is many ways to publish on the beacons, but here we present two of them. 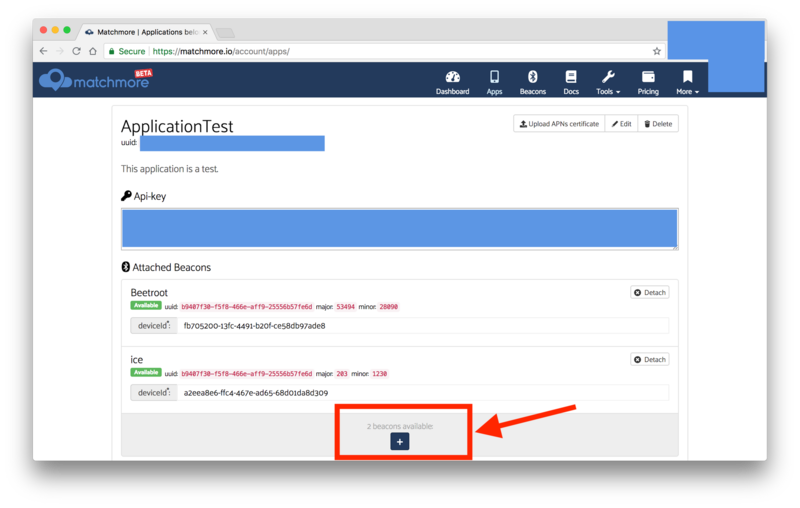 Note: you can also publish on your beacons via our SDKs. When you are logged-in, after you have registered all your beacons and assigned them to your application. Check which beacon corresponds to the Major 53494 and Minor 28090.
and then on Create a Publication. 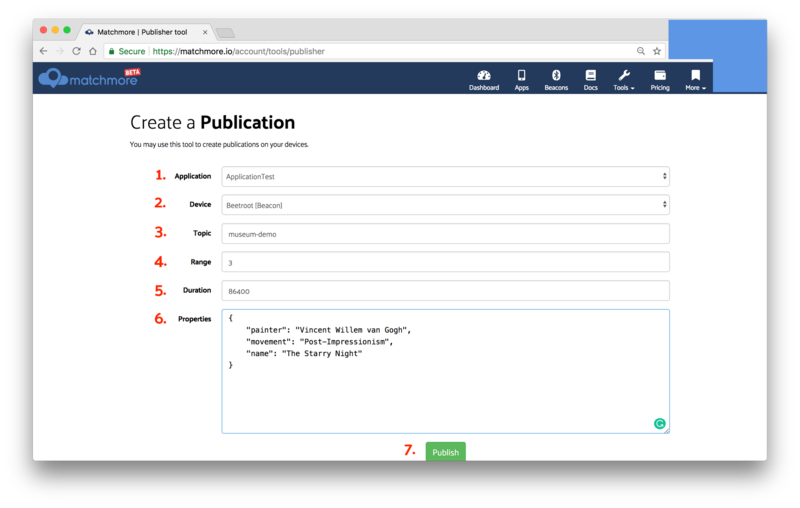 It brings you to the page where you can create publication in your app without coding anything. Choose the device. The beacon corresponding to the Major 53494 and Minor 28090 is our namely, Beetroot. Set the topic, it could be museum-beacon. Choose the range, as we want people to be very close to the Van Gogh before receiving a notification, we set 3 meters. We have set 86400 seconds which correspond to a month duration. Set the properties, that is metadata attached to our beacon. Press Publish, to publish your publication. Here is another way to publish on your beacons. You are going to use HTTP request with Curl. 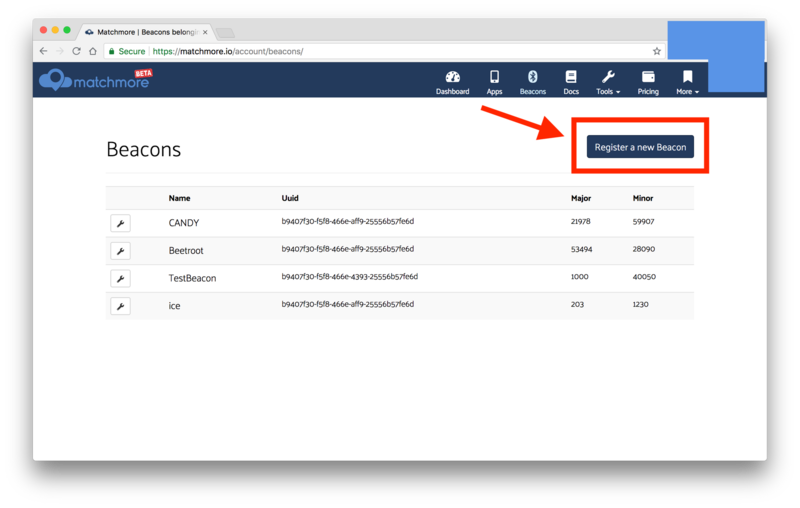 With the known device ID, you are able to start publishing or subscribing from your beacons. You are looking for the beacon with Major 53494 and Minor 28090 placed near your famous piece of art painted by Van Gogh in June 1889. Use the device ID which is fb705200-13fc-4491-b20f-ce58db97ade8. Provide the significant information in the properties. You have the publication on the beacon and now what ? So, for a subscriber on topic museum-beacon to pass near by the beacon (below 3 meters relative distance), will receive a match. This match can trigger pre-implemented feature and this match provide useful information based on the properties you have set before. When you know which beacons the end user has been near you can notify him with relevant contents ; for example, display a page with The Starry Night painting information, because the end user is near the "Beetroot" beacon. We hope you enjoyed this blog post. If you have any questions, please feel free to contact us. Everything you need to know about beacons. How to secure your beacons from being spoofed. 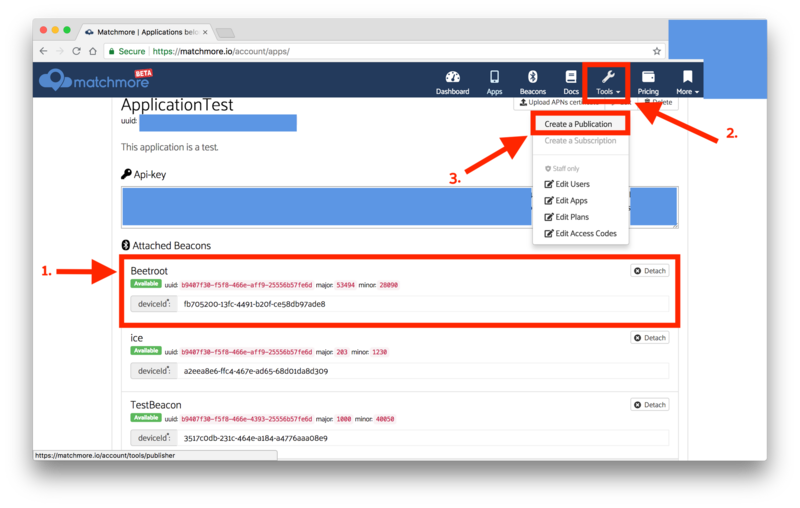 Our software developer Adam Smolarek has created his second must-read tutorial in how to use Matchmore. This simple guide shows you to use Matchmore on Android. Happy hacking! Our software engineer Lukasz Mlynik will in this post help you to build your own dating app with React Native and Matchmore. This tutorial contains several easy-to-follow steps. Get started today!